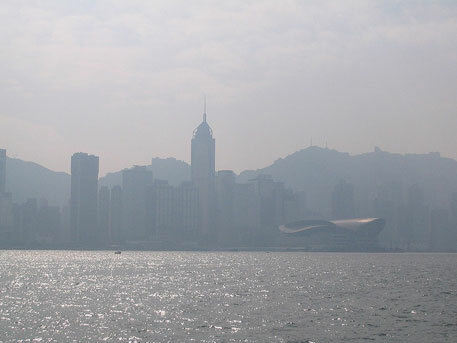 An environmental monitoring agency has said that the air quality in Hong Kong has improved slightly in the first half of the year, Bloomberg reports. This comes as good news as the air quality in the city worsened between 2007 and 2013 because of increased emissions from vehicles and ships. Clean Air Network cites government data that reveal a drop in the levels of nitrogen dioxide, sulphur dioxide and fine particulates in the atmosphere. This has been possible because some vehicles were fitted with catalytic converters, the Network said. The only pollutant that has increased is ozone. Since assuming office two years ago, Hong Kong Chief Executive Leung Chun-ying has made cleaning up the streets a priority, increasing subsidies to replace old vehicles and overhauling the city’s air quality index. On January 10 this year, legislators approved funds worth HK $11.4 billion to replace old diesel vehicles. The government is also adding or changing the catalytic devices for some buses and taxis to improve emissions. The improvement in air quality has brought down health costs associated with pollution by 4.2 per cent, according to an index prepared by the University of Hong Kong. The number of premature deaths from pollution fell to an estimated 1,430 in the first half of the year, compared with 1,606 a year ago, says Clean Air. The Bloomberg report states that private car registrations rose to 35 per cent in the past decade, worsening the city’s air quality. “We foresee there will be more pollution from road traffic, air and sea in the future,” Kwong Sum-yin, chief executive officer of Clean Air Network, told the media. Unless the city does more, the improvements shown will be wiped out, she said. She suggested that the city should limit the number of private cars and set up low emission zones. It could also coordinate with neighboring Chinese provinces to set up an emission control area in nearby waters, she added.